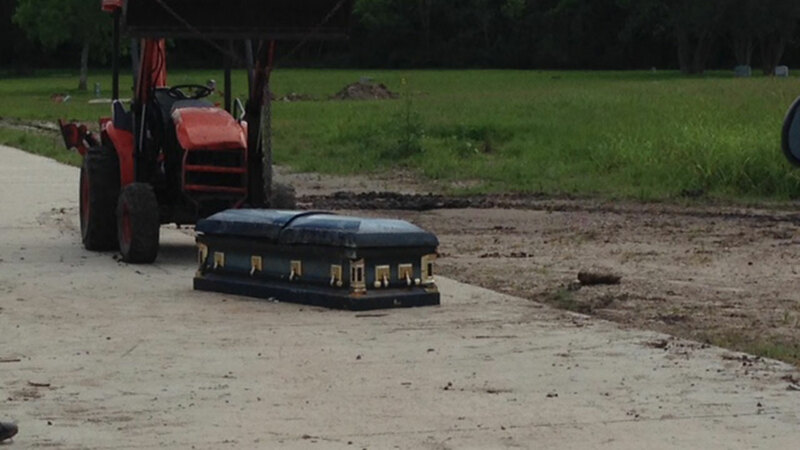 HOUSTON -- A man says he came across a casket with a body inside on a roadway in southwest Houston. Walter Rubio says he made the discovery around 8am Tuesday where Honeywell dead ends with South Braeswood. "I was on my bike and when I came, I seen the casket and I got a little scared so I had to go to the main street and get the cops," Rubio said. Police opened the casket and found a body inside. Authorities believe the casket was unearthed from the Riceville Cemetery and belongs to a woman who died in February 2007. Houston police are still trying to positively identify the body inside the casket. A woman at the scene says the casket may belong to her friend. She tells Eyewitness News that seeing the body is something that she'll not soon forget.